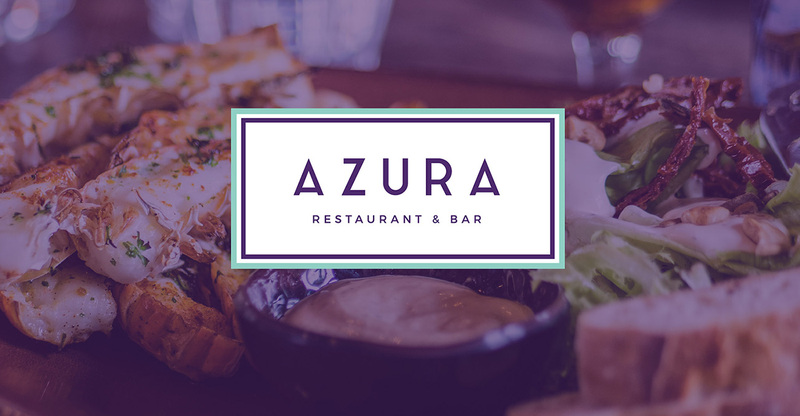 Azura (established in 2006 as Cafe Azur) is our brand new on-site restaurant, serving modern homestyle cuisine with local Cornish produce, set within the tranquil surroundings of our woodlands, gardens and holiday cottages. There’s plenty to look forward to, with events happening throughout the season, plus we’ll be hosting regular themed nights for something more exotic! Our fantastic Chef, Mark Callaby, is heavily influenced by his travels, and brings a modern twist to classic British dishes. His Sunday roast is always a huge hit, too, and he’ll be transferring his own style to the best-loved recipes of different cultures for our pop-up themed nights. We are, of course, very family friendly, and children under 3 eat for free! The restaurant looks out onto the azur waters of our outdoor heated pool and is surrounded by greenery, creating a peaceful space to make you feel like you’re truly on holiday! Want exclusive discounts & restaurant updates? Sign up to the Azura mailing list below to stay in the know about our upcoming events and any offers we are promoting. "Great stay - fab location, so much to do on our doorstep. Thanks!"